The new line-up: Joe Barnes, Dmitri Tordo, Florian Nicolai, Ines Thoma. 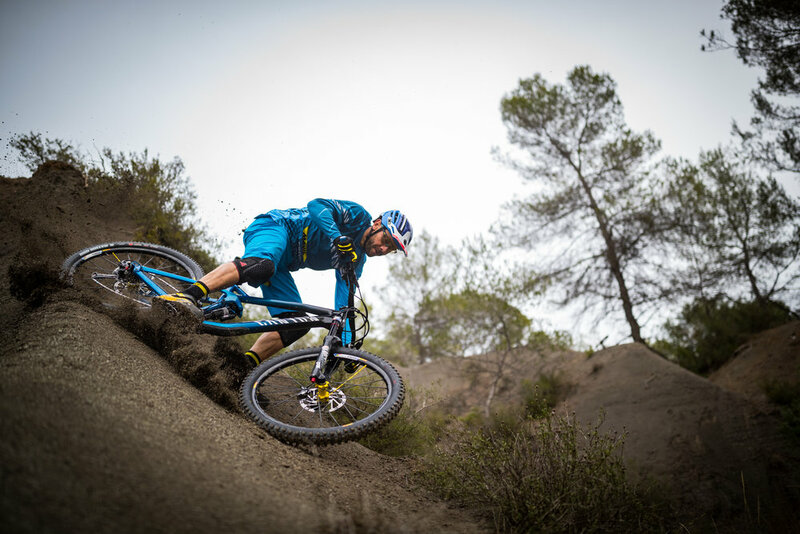 KOBLENZ, 19.02.2018 — Canyon Factory Enduro enters the 2018 season by adding a pair of French riders to an already dangerous roster in a quest for the prestigious EWS title. 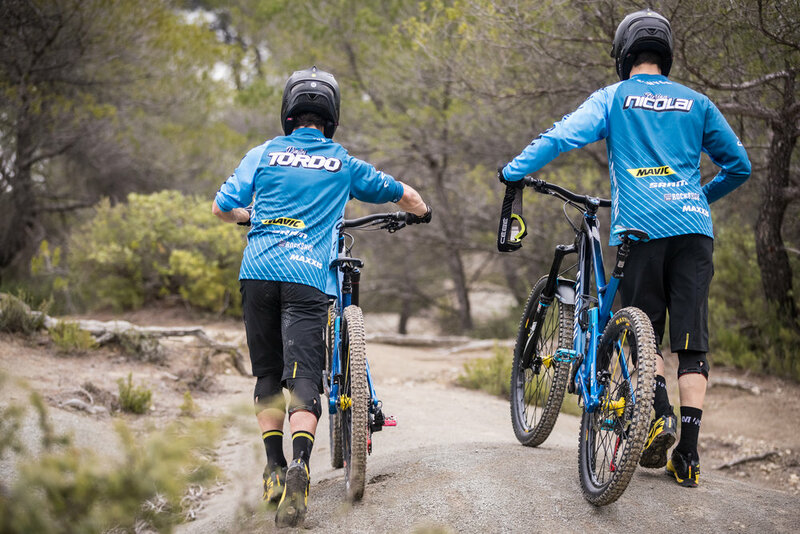 Canyon Factory Racing stalwarts Ines Thoma and Joe Barnes will lead the 2018 battle coming off highlight-filled seasons which landed the team 3 rd in the overall standings. Ines looks to repeat on her explosive start from 2017 which saw back-to- back podiums including a career-best 2 nd in New Zealand. On the flipside Barnes continues to push towards a return to the EWS podium while directing, producing and starring in his hugely popular Dudes of Hazzard video series. Joe Barnes is back with eyes on the podium. "It’s unbelievable that the 2018 season kicks off in only one month. I’m heading into my fifth EWS season with Canyon so it’s all quite familiar, but a new season always brings excitement. I am extremely motivated to hit the Southern Hemisphere and get the season started.” Ines Thoma. Joining the hunt for 2018 is 25-year- old Florian Nicolai; a legitimate podium threat known for his phenomenal bike handling skills and Dimitri Tordo, a relative newcomer to EWS racing. Both hail from the French Riviera and under the guidance of team leader Fabien Barel look to make an instant impact. "Our enduro program has a rich history in EWS racing from the moment we took victory at the inaugural EWS event in Punta Ala back in 2013. Since then the program has become stronger than ever and I look forward to sharing my experience and passion with the athletes.” Fabien Barel. The 2018 Enduro World Series kicks off in March in La Barnechea, Chile, a mountainous region of the Santiago area. The eight-stop premier enduro series makes stops in South America, Europe and Canada before the traditional final curtain closer in Finale Ligure, Italy, in late September. Reliable, cutting-edge equipment is crucial to race day success and Canyon Factory Enduro Racing is proud to partner with industry leaders in their respective categories. In 2018 the team will count on support from SRAM, RockShox, Mavic, Maxxis, Ergon, Dainese, Troy Lee Designs, Crankbrothers, E- 13, Acros, Mucoff, Go-Pro and Dynaplug. “Racing at the top level provides the drive behind Canyon’s R&D processes. Bikes like the Strive with its Shapeshifter technology were born to meet the demands of EWS racing. Our Factory teams are crucial to Canyon’s R&D department. Working closely with the world’s best athletes from the conception stage of a frame allows us to ensure they can withstand the toughest conditions and perform at the highest level. Our R&D department is fully committed to providing anything needed to put our riders on the podium and these refinements trickle down to our production bikes, making them the best they can be for riders everywhere.” Moritz Ströer, Canyon Product Development Engineer.